Please join us on a full day tour of this wonderful wine region. As we specialise in small group wine tours we only use our 12 seater mini bus – just enough people to get to know one another during the day. 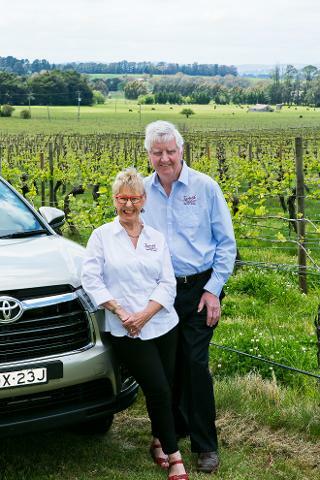 We pick up from your local accommodation between 10 and 10.30am and visit 4/5 of the local boutique vineyards. Our stop for lunch will vary from a local restaurant at a vineyard to outdoor catering of warmer days. The lunch cost is not included in our tour price.